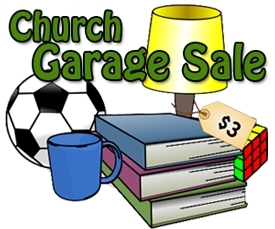 The Garage Sale success depends on each one of YOU, our Church family. Please ask your family, friends and neighbours for donations of clean and in good condition items. We are planting the seeds now so we can reap a great spring harvest – start putting things aside now. We are also planning a silent auction with NEW items only. So, should you wish to donate that Christmas gift you received – you know the one you don’t want, need or like, we will gladly accept it for the auction. We will also accept handiwork of our ever so clever congregation (men included). Finally, many VOLUNTEERS will be needed during the week of and on the Saturday of the sale. So please mark April 27, 2019 on your calendar so you’ll know where you’ll be on that day, hint, hint. Also men included in this request. Please speak to Adelaide 905-812-9483 with any questions. Find out more about Dr Eriksson and this event.